When it comes to most major shared household decisions—paint colors, couch style, lazy Friday night dinner—my husband and I tend to either agree or debate for a bit and then find a common ground. Yet, when it came to deciding on a new mattress, we just couldn’t seem to get there. We’ve tried two different mattress types in the past year, and both of them fell short. I wanted a medium-firm pillow top mattress, but his achy lower back couldn’t handle it. He wanted a super-firm traditional spring mattress, but that one wasn’t very friendly to my curves. I have sensitive skin and I’m allergic to everything, so I was also in search of a hypoallergenic mattress made with organic cotton, but that wasn’t very easy to find either. We started eyeing those customizable mattresses you see in the commercials that allow you to customize his and hers settings to your liking, but the price points on them were a little high for our budget. I’d heard about the all memory foam mattress trend but I wasn’t convinced a spring-less mattress could provide much of a compromise for us—until we got the chance to try one. When I was offered a chance to give Real Simple magazine’s new editor-approved Real Sleep™ memory foam mattress line a try, since we were still mid-mattress struggle, we jumped on the opportunity. Twenty restful nights of sleep later, we’re believers and now big fans. Allow me to explain. Below, you’ll find my breakdown of how the Real Sleep™ foam mattress in a box solves every joint issue you and your bedmate typically encounter when you’re mattress hunting. 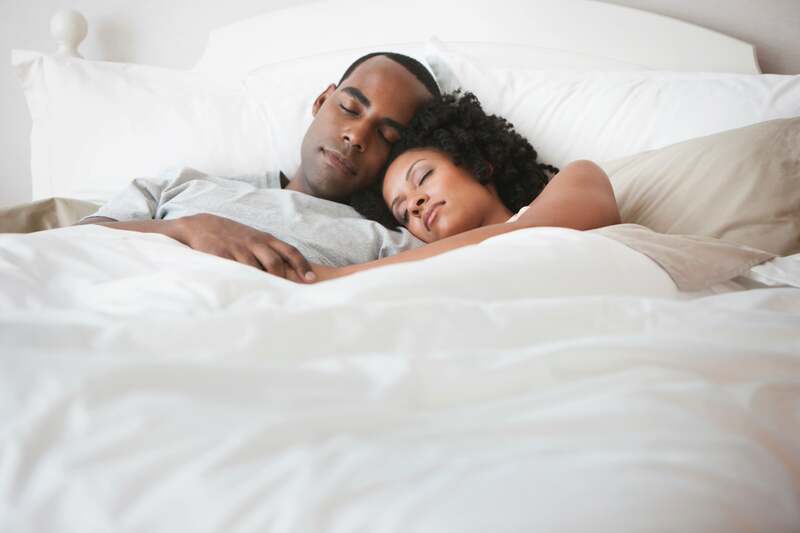 Problem Solved: Cozy up to this one: The Real Sleep™ mattresses’ all foam design is firm enough to support hubby’s bad back, but designed to adjust to your sleep positions, body shape or size. Problem Solved: Those super comfy pillow top mattresses also harbor a lot of heat, which can be very bad news for the night-sweater in your crew. (In our case, we’re both over-heaters!) 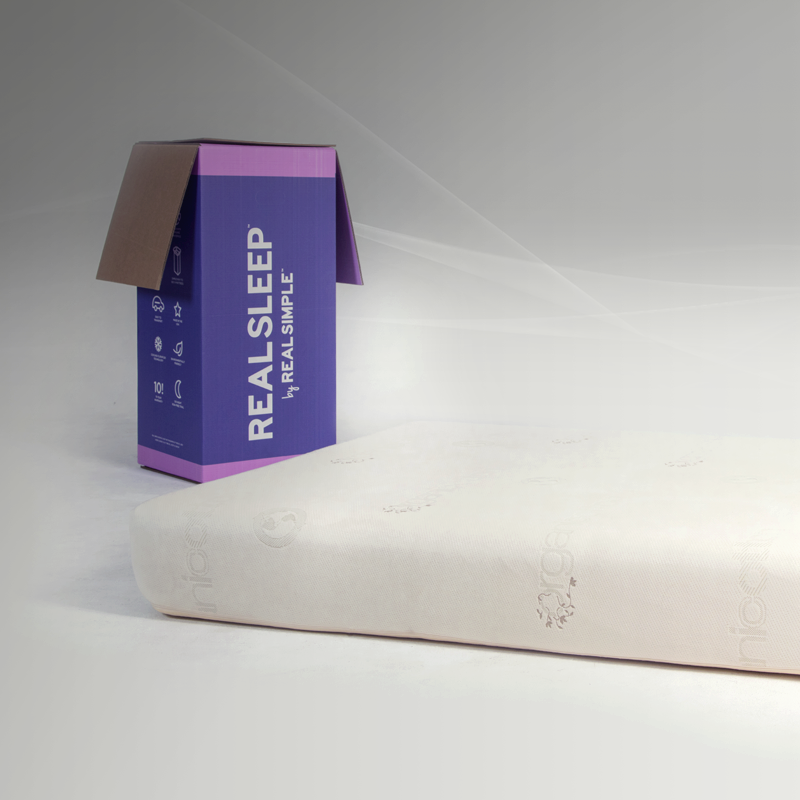 The Real Sleep™ bed in a box comes with a new FloraFlex open cell design that promises to maximize airflow, move heat away from your bodies and cool down your body while you sleep. Problem Solved: Sometimes the best mattress deals come with a big commitment, but the Real Sleep™ mattress offers a generous trial period to go with that steal of a price. 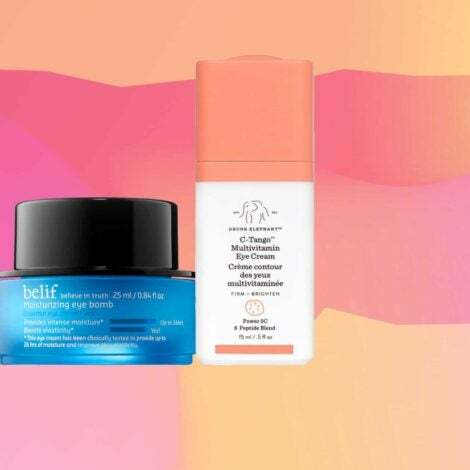 You’ll get a 100-night trial with your purchase, so if it’s not a fit for you and yours, there’s plenty of time to get your money back. Problem Solved: I thought an organic mattress would come with a higher price tag, but not in this case. 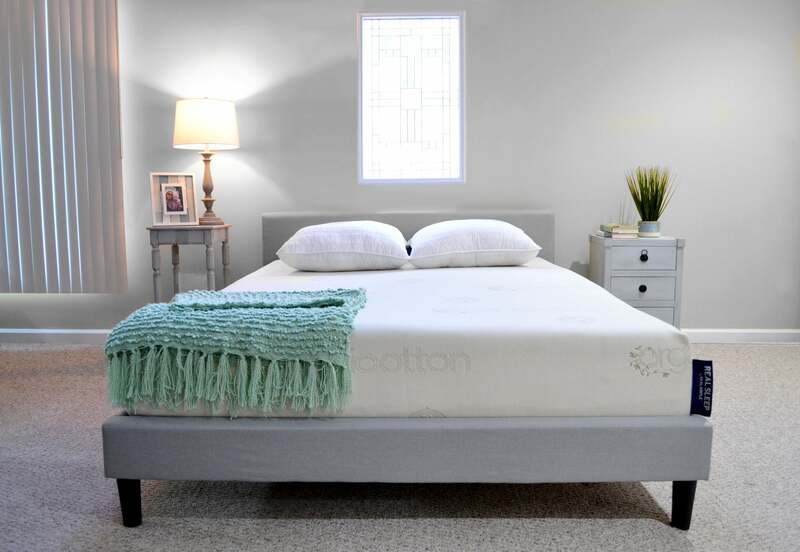 The Real Sleep™ mattress comes with a100-percent organic cotton cover and is made without formaldehyde, phthalates, toxic flame retardants, ozone depleters or volatile organic compounds. Winning! Name a problem this mattress won’t solve….I’ll wait. Shop for one here, or call 1-800-996-7976 for more details.